HOLLYWOOD - If the adage is true that the ultimate Hollywood art form is the deal, then the maneuvering to get Spider-Man to the big screen will never hang in the Louvre. As the biggest super-hero character left unfilmed since the blockbusterBatman made the genre popular again, Spider-Man has been widely touted as moviedom's hottest property. Industry buzz says a movie featuring the web-spinning, wall-climbing crime fighter who has been a comic-book mainstay for more than 35 years would be the event movie of the year for the studio that owns the rights. If only anyone could figure out which studio that is. The seven-year battle over the feature film rights to the Marvel Comics character has become Hollywood's costliest and most convoluted legal spectacle. There are five lawsuits pending before Los Angeles Superior Court Judge Valerie Baker, with as many as 18 separate written agreements at issue. Last month, a Delaware judge overseeing Marvel's bankruptcy cleared the California cases for trial, which could begin before the end of the year. But that still leaves Baker confronted with a tangled mess. "Spider-Man could be a movie, or it could be litigation," said Howard Weg, an attorney who represents the liquidating trust of Carolco Pictures, which claims to have acquired the movie rights in1989 but went bankrupt in 1995. "All the entities involved have elected not to make a movie, but litigation." But this is more than a story of dueling lawyers. The multimillion-dollar litigation parade provides a unique snapshot of recent Hollywood history. Along the way, Spider-Man has become the Hope diamond of the movie business, cursing many of those who have laid claim to it. Three studios that at one point or another claimed an interest in the movie rights have gone bankrupt waiting for a resolution; so too has Marvel Entertainment Group, the comic book publisher that owns the character. Indeed, it's not clear whether the leading complainant today, the ailing studio MGM, would have the financial wherewithal to finance the Spider-Man movie if it wins the litigation. The case traces the rise and fall of three independent film studios that briefly dominated Hollywood deal-making until their shallow finances brought them down and unfolds against the backdrop of the industry's blockbuster mentality and its preoccupation with big names, such as superstar director James Cameron, whose association with the Spider-Man project helped drive it from a modest $15 million undertaking in 1985 to the predicted $200 million extravaganza it would be if made today. And it shows to what length filmmakers will go: The whole brouhaha started when independent filmmaker Menahem Golan, who purchased the first five-year movie option on Spider-Man 13 years ago, filed a lawsuit to ensure that he would be listed as producer of any Spider-Man film, even if he never again lifts a finger to bring it to the screen. The intensity of battle also illustrates how desperate studios are to develop "event movies" - priceless properties that can be exploited repeatedly over a decade or longer for sequels and spinoffs. The potential return of such a franchise is so great that four major studios remain in the fight for Spider-Man. One is MGM, which claims to have bought up all the Spider-Man feature film rights once held by the defunct independent studios - Cannon Films and 21st Century Film (both operated by the irrepressible Golan) and Carolco Pictures. Viacom Entertainment and Sony Pictures, meanwhile, say they own television and home video rights, respectively, to any Spider-Man feature film. Waiting in the wings, finally, is 20th Century Fox, which is not part of the litigation but holds the most intriguing card of all - an exclusive contract with Titanic director Cameron, who in 1991 was paid $3 million by Carolco for a Spider-Man film treatment that sources say is brilliant. These claims are all at issue because Marvel, which is just emerging from its own bankruptcy, contends that the movie options it sold three times over the last 13 years have all expired. Therefore, it claims, it has the exclusive right to sell them again. Like its hero, Peter Parker - who struggles to balance super powers bestowed by a radioactive spider's bite with the worldly concerns of any average teen-ager, Spider-Man as a comic-book concept at first got no respect. The creator was Stan Lee. Today a vigorous 75-year-old who still holds the title of chairman at Marvel Comics and remains the enterprise's creative soul, Lee by 1962 had helped provide Marvel with some of its quirkiest and most enduring characters, including the Fantastic Four and the Hulk - superheroes whose appeal lay in having to balance amazing powers with the pressures of sibling rivalry, job worries and physical repulsiveness. "When I told my publisher my idea for Spider-Man," Lee said in his memorabilia-filled Los Angeles office, "he said: 'Here I draw the line. People hate spiders. Teen-agers can only be sidekicks, not superheroes.'" The publisher flatly refused to give Spider-Man his own comic book. Lee sneaked the character into a comic book Marvel was about to fold, Amazing Fantasy. 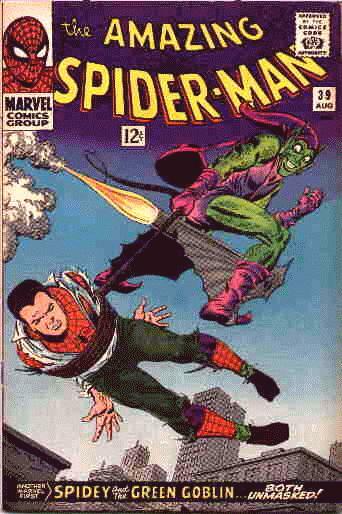 In its final edition, August 1962, The Amazing Spider-Man made his first appearance. Peter Parker was a high school kid with girl trouble and difficulty finding work. While competing characters fed into adolescent fantasies of unlimited power and control, Spider-Man's abilities often seemed more of a burden than they were worth. Within a couple of months, Marvel realized that Lee was on to something. The final edition of Amazing Fantasy outsold anything Marvel had published in years. The character spawned a newspaper comic strip and animated and live-action TV series. Yet when it came time to sell the movie rights in 1985, Peter Parker again got no respect. The Superman franchise, launched to huge success in 1979, seemed to have breathed its last with the critically panned Superman IV in 1983. "Nobody believed anymore in features based on comic books," Golan said. Nobody, that is, but Golan, the voluble co-chief of independent Cannon Films. Golan persuaded Marvel Entertainment to sell Cannon the feature film rights to Spider-Man, its premier character, for a fire-sale price of $225,000 (plus a percentage of the gross revenues). Over the next four years, he nurtured the property through 10 screenplay versions. By 1989 interest in the genre was stirring again with Batman's blockbuster opening in June. Other studios were coming to him with inquiries about Spider-Man. That was fortunate, because Golan no longer could make the picture on his own. Cannon Group had been the quintessential 1980s independent film studio. Thinly capitalized and kept afloat by suspect accounting, it specialized in low-budget action fare with an average cost of $5 million. On the verge of failure, Cannon was taken over in 1987 by Pathe Communications, a holding company controlled by Italian financier Giancarlo Parretti, who would cut a painful swath through Hollywood over the next few years - even acquiring the once-stellar MGM - before going bankrupt and being convicted on perjury and evidence-tampering charges. (He fled the United States before getting sentenced). Two years after that, Golan struck out on his own. As part of his severance package from Pathe, Golan took the rights deals for Spider-Man and Captain America, another Marvel character. Because Cannon's original deal with Marvel gave it only until August 1990 to place a Spider-Man picture in production, or the rights would revert to Marvel, Golan's new company, 21st Century Films, renegotiated the original deal with Marvel to buy more time. Reprieve in hand, Golan again set about raising money for Spider-Man. Golan sold worldwide television rights for Spider-Man to Viacom, and home video rights to Columbia Tri-Star. But the most important deal was with Carolco, another independent studio. At the 1990 Cannes film festival, Carolco wined and dined Golan on board its lavish chartered yacht. Golan said studio executives Mario Kassar and Peter Hoffman pitched a plan to produce a $50 million live-action Spider-Man. The deal was inviting, and not only because Golan personally stood to gain a $1 million cut if he agreed. Carolco, he thought, might be able to avoid the financial problems that had stymied his own dreams for Spider-Man at Cannon. He signed the deal for $5 million, payable to 21st Century. Golan's only condition, as he recalls the negotiations, was that his role in spotting the property's potential early and keeping the project alive be recognized: Any Spider-Man picture Carolco made was to bear his name as producer. By late 1991 Carolco paid $3 million to Cameron, the director of The Terminator and Terminator 2, to write and direct the picture. Lee, who had become friendly with Cameron, got a look at his detailed treatment - a sort of stripped-down screenplay minus dialogue - and was thrilled. Golan, however, was growing uneasy. Amid all the Carolco publicity for the project, his name had not been mentioned as producer even once - only Cameron's. According to court documents, Carolco executive Lynwood Spinks called one day on Golan's assistant Ami Artzi. Spinks said that in its haste to sign Cameron for the new picture, Carolco had simply copied the terms of his Terminator 2 contract word for word, substituting Spider-Man for the name of the movie. But the old deal had given Cameron approval over every credit on the picture - and he would not approve Golan's credit as producer. Over the next several months, Golan claimed later, Carolco tried to pressure him into giving up his claim to the producer credit - even withholding part of the $5 million it owed 21st Century for the Spider-Man rights. Finally, in April 1993, Golan filed a lawsuit to rescind his contract with Carolco. What began as a fit of pique over a credit turned into the event that ended the preproduction period of Spider-Man, so to speak; the litigation phase had begun. Within 16 months, Golan's lawsuit was followed by five more, throwing the ownership of the Spider-Man movie rights into a seemingly impermeable snarl. In February 1994, Carolco sued Viacom and Tri-Star separately to nullify their television and home video rights. Tri-Star and Viacom countersued Carolco, 21st Century, and Marvel. MGM, which as part of the Pathe Group considered itself the inheritor of Cannon's old Spider-Man rights, sued Golan, Globus, Parretti, 21st Century, Viacom, Tri-Star, and Marvel for fraud (among other things). Within a year further complications arose: Carolco, 21st and Marvel had each filed for bankruptcy. Spider-Man's destiny lies in further litigation. Even if a court awards MGM the movie rights, it would be virtually impossible for the ailing studio to finance the picture unless it also owned the lucrative television and home video rights now claimed by Viacom and Sony. That ensures a further battle with Viacom and Sony. And if Marvel is awarded clear title? It is possible that legal appeals might extend the battle well beyond the millennium. HEY! Want the latest news on the Spidey flik? Then click it!